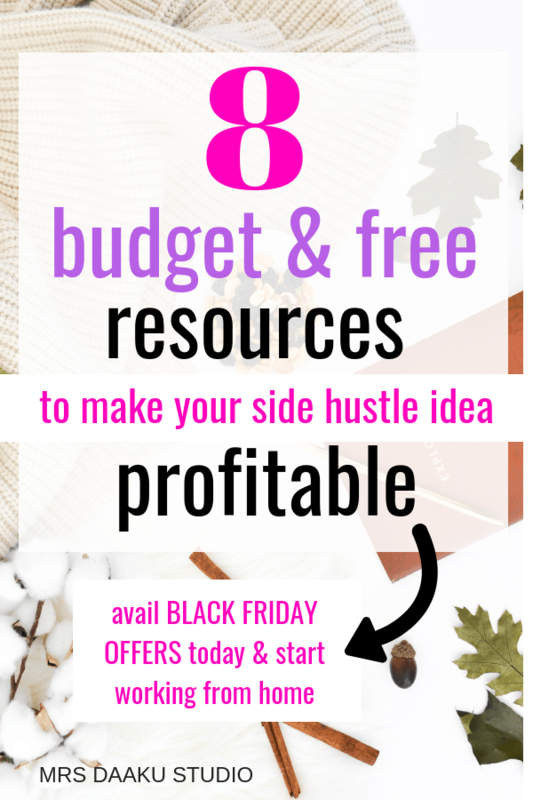 Would you like to know some great budget (or even free) resources that can help your side hustle idea become a reality? If you just smiled, this post is for you. Today, we are going to discuss resources that are free or on a budget and can take your side hustle idea to the next level. Times have really changed. Until a few years ago, ideas for small business or successful home based business ideas were restricted to selling, baking or having a shop. With the internet, things have changed for the better. Now, the best business idea to make money from home is to provide a service online. For example, be a virtual assistant or a freelance writer, designer or illustrator etc. 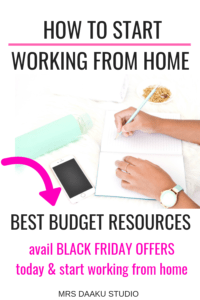 In this post, I will not only tell you the courses you should sign up for or resources you should download; but I will also share discount coupon codes for courses which are on a Black Friday Sale. Seriously, there is no better time in the year to buy a course, start your side hustle idea or blogging. You can have some crazy cheap deals. Micala Quinn, owner, and founder of Live Free Mama offer fantastic resources that can help with your side hustle ideas or home based business ideas for moms. According to her, mom’s don’t have to decide between children and career anymore. They can choose both. And, for that, she created a bunch of informative resources. If you are a stay at home mom or dad wanting to discover how to translate your work experience into a profitable side hustle idea, Micala’s brainstorming guide can help you with it. It is completely free and you can download it here. For moms that want to start working at home, she has a free training that tells you how to start freelancing and make real money from it at the earliest. You can check it out here. This is a must-take training if you are new to side hustles or home based business ideas. While these were the free resources you can avail, her paid course is named Overwhelmed to Overbooked (O2O). As the name suggests, Micala tells you everything you need to know to be a successful freelancer and a proud work at home business owner. Besides that, O2O is very different from the other courses on the list. While other courses are specific to a side hustle idea or work at home business idea, in O2O, Micala helps you find your interests, passions and turn your experience into a profitable venture. So, if you are not sure you want to be a freelance writer, VA or the like, I highly recommend you to invest in this course. BUT, before that, do check out her free training and download the brainstorming guide. For those of you who don’t know, proofreading work involves fine combing what is already being edited to ensure that the content is free of typos, grammatical or punctuation errors. After the content has been proofread, it is sent for publication and not before that. It is the final touch to the content before it goes live. Basically, you are responsible to tidy up and assure the quality of content. Caitlin, a known proofreader, is focused on transcripts and knows that her target clients are law offices and lawyers. She has been able to earn $40k a year and shares all her strategies here. You can sign up for this FREE course which talks about tips and strategies to earn up to $40000 a year. Proofreading Anywhere is the paid course by Caitlin Pyle and is one of its kind. 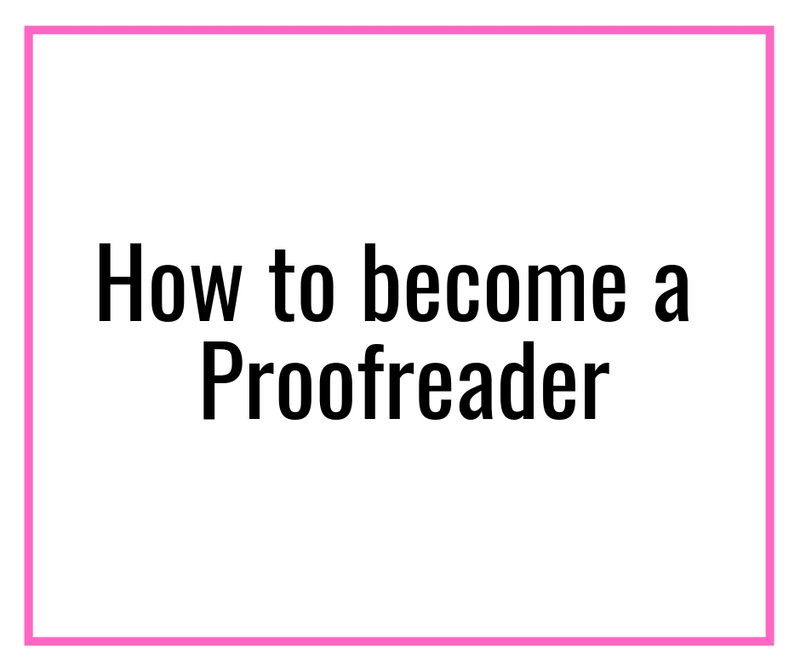 A legit course that teaches you the art of proofreading and how to make money as a proofreader. She helps proofreaders earn extra income from anywhere in the world… even if you’re starting from scratch. For my readers, I have a coupon code that can get $150 off the course. Enter BESTEVER on checkout and get your course at the most reasonable price ever. Trust me, I have never seen this course go at a whopping $150 discount. Use this link to get access to the sale. Caitlin’s course does a good job of teaching the basics of how to be a proofreader, but she also points you in the direction of further learning, which is helpful. Even before I completed the course, I was recovered my investment and now, I earn $2000+ a month working part-time. Note: I highly recommend you to read this article on how to be a proofreader and Proofread Anywhere review (this is where I interviewed Darcy). Transcriptions are an in-demand but not highly explored industry. Meaning, you have higher chances of landing high paying clients and have a successful stay at home job. Transcribe Anywhere is the paid course offered by Janet. I highly recommend Transcribe Anywhere because it is the best transcription certification institute online. The course is super affordable and the results can be seen in the many testimonials online. I highly recommend you to read this post on how to be a transcriptionist and earn $12000+ a year working part-time. Enter code BESTSALE at checkout to receive $150 off the transcription courses between Black Friday and Cyber Monday! A virtual assistant is an individual that helps other businesses (entrepreneurs, small businesses, bloggers etc) with several tasks. It could be anything from email management, content creation, bookkeeping, graphic design, social media management and much more. There are tons of services you can offer as a VA – check out this list of over 150 to learn more! While Gina does NOT have a free course, they definitely do have free resources and posts that share everything you need to know about this side hustle called a VA.
And, there is no better way to learn to be a virtual assistant with no experience than Gina Horkey. 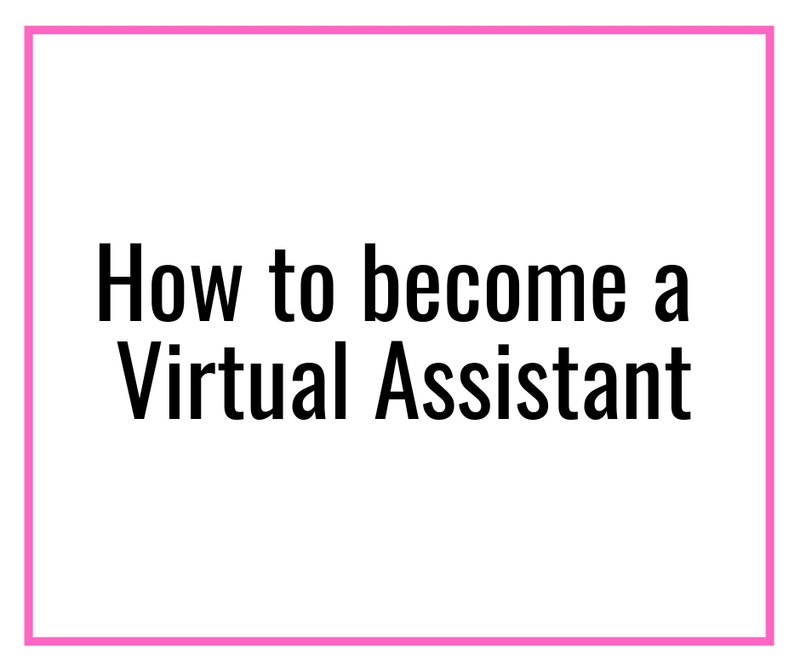 If you are thinking of becoming a virtual assistant, this post on how to become VA with no experience is a must-read. If you are looking to scale quickly, Gina offers a paid course named 30 Days or Less to Virtual Assistant Success that covers more than a half dozen prospecting methods and how to be a successful VA. You can check out the testimonials here, and the shop here. This detailed article by them on how to become a Pinterest VA answers every question you will have about this remote job. And, if you’re not in a mood to read right now, you have to ABSOLUTELY watch this Facebook video by Kirsten and Gina on how Pinterest can earn you money working from home. I highly recommend you to download Become A Pinterest VA Prep Workbook to start with. They also have a course together and you can sign up on the waitlist here. It is called Become a Pinterest VA and it is one of its kind. If you are looking to welcome 2019 with a bang, I suggest you sign up on the waitlist and grab as soon as it opens up. Another go-to resource is The Pinterest VA Shop – It is a culmination of everything required to tackle Pinterest problems. From pin graphics, checklists and templates, you have everything you need to manage Pinterest for your clients. If you want to learn more about Pinterest, the one and ONLY course I suggest to learn Pinterest tactics is Pinteresting Strategies. It was an ebook which is now converted into a mini-course which deals with manual pinning. Within 4 months, I jumped from 5k to 300k pageviews on Pinterest and referrals to my blog increased accordingly. Manual pinning is important to make Pinterest work for others. She also deals with using Tailwind in the later videos. I highly recommend investing in Pinteresting Strategies. Carly has put the course on a sale and if you use the code BLKFRD15, you will get $15 off on Pinteresting strategies. So, do grab it today. While it does sound fancy, scoping is actually about editing legal documents for court reporters. Basically, scopists work for court reporters and are professional transcript editors for court reporters. A Scopist needs extensive training and learning a lot of new things. While you can do it all yourself, I do not recommend it. A scopist needs training on how to best do the job. If you think you are a wordsmith, love crosswords and are research maniac – this might be for you. In any case, you can sign up for free course mini course to know if you are cut out to be a scopist. All you have to is take the quiz! Guess what? Linda is extremely generous this year. Everyone who purchases the Full Scoping course will receive a 10% discount when they use the code BFSALE, even when they’re paying with a payment plan. This has never happened before and in her words – will probably never happen again. So, grab it while you can here. Freelancing writing helped me achieve financial freedom sooner than I thought. When I started out, I was clueless about online writing BUT I invested in the right products and read the right resources. And, guess what, in the first month of actively freelancing, I totaled at $900. You can read about my strategies here. If you want to earn your first $1000 writing online sign up for my FREE course – 7 days to freelance writing success. Get paid to write online – This is a FREE email course by Elna Cain where she talks about her strategies, tips, and trick to make your first $1000 by writing for businesses. Using this course, I built a successful writing business and earned $1000 in the first month of writing. Sign up! 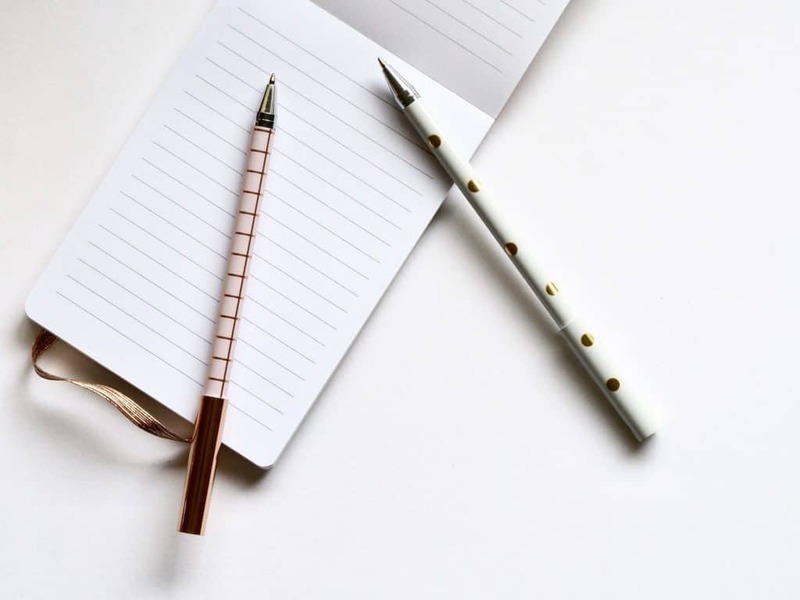 Besides this, you can also check out this extensive and informative post written by Gina on how to be a successful freelance writer. While you can learn the skills to be a successful freelance writer online, if you want to scale quickly and earn $3000+ a month before 2019 starts, I highly recommend you to invest in any of these 2 courses and get yourself a mentor. It would also be a great Christmas present for a stay at home mom looking to re-enter the workforce. For Black Friday, Elna is giving out a Writers Bundle at JUST $99 (a whopping 40% off). It gives you access to the best of her 3 courses. You can know more about it here. A flipper is someone who buys a product from one market at a lesser price and sells it to another at a higher rate. For example, you buy a $10 item and sell it for $200 online (yes, this is possible!). This is the best side hustle idea for passive income. The best part about flipping things for profit is that you can get started with 5-10 hours a week – a side hustle of sort and still, earn up to $500-1000 a month easily. In 2015, Rob and Melissa made $42,875 while they work 10-20 hours a week. In 2016, they totaled at $133000 while working 15-30 hours a week. You can read everything about flipping in this guide to flipping things for profit. I also recommend reading 5 Ways to Get FREE Items To Resell for Profit as it will help you learn how to make money by flipping items. Pro Flipper is the paid course Rob and Melissa which teaches you everything about flipping for profit. Guess what? Not only are the courses on a Black Friday sales, they are also offering add-ons for the pro package. You can get it here. Use the code BLACKFRIDAY at checkout to save $149 or $179 today!! 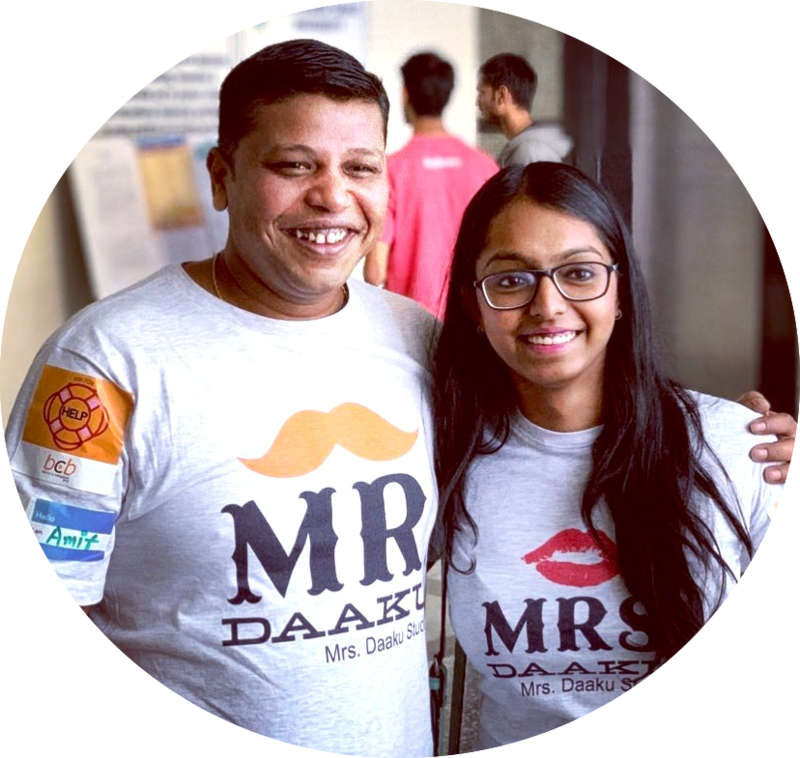 Probably one of the best website hosting services in terms of service and loved by millions of bloggers around the globe, including me. It is on a major Black Friday sale for 2018 which you can avail here. In my observation, it is always around $3.95 a month, but with this sale, you can get it for $2.65. So, if you are looking to start a new blog or a writer’s website, this is the time you should take an action. Hostgator is another alternative that offers 45 days risk-free plans for you to try their hosting services. It provides 24/7 customer support as well as less expensive hosting tariffs. You can check it out here. Under the Black Friday sale, you can get a 60% off on hosting plans if you use the code HGFRIDAY. So, are you ready? Sitegound boasts to host more than 1 million websites and many popular bloggers and freelance writers use it. There web hosting services are designed for top speed, unmatched security, and 24/7 expert support. Again, Siteground has an amazing Black Friday discount going on where you can grab the hosting at $2.98 a month. You can know more about it here. This is the basic blogging tools for beginners. Resources and budget courses to convert your side hustle idea to reality. So, what are you waiting for? 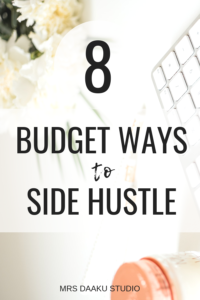 Comment below and let me know what side hustle idea are you pursuing and if you have any questions. I would love to answer them all. Jumpstart your work from home career: Ready to work at home, make a sizable income, and spend MORE time with your family, but have no idea how to get started?? This is exactly what you need! It helps you with how to start freelance writing the right way! Also, do NOT forget to check this out if you are overwhelmed with the information and starting to work from home. It is a resource that can get you from being overwhelmed to overbooked with clients! No exaggeration. Pinteresting Strategies – If you are interested in making money online (either with blogging, e-commerce store, digital products or anything else like coaching or writing services), let me tell you one thing – You need Pinterest. In any course you may buy for business, they recommend investing in Tailwind app (the only permitted scheduler for Pinterest). Many of you, on a tight budget, would not be able to (or want to) pay for it. But, Carly Campbell has figured out a way to go from 1 to 300k by manually pinning on Pinterest. She is a Pinterest strategy goddess, grab her book here. Using her tactics, I quickly scaled from 0 to 150k views. You can also signup with my link and get a month of Tailwind plus free (if you want to try it out before investing ANY money into it).